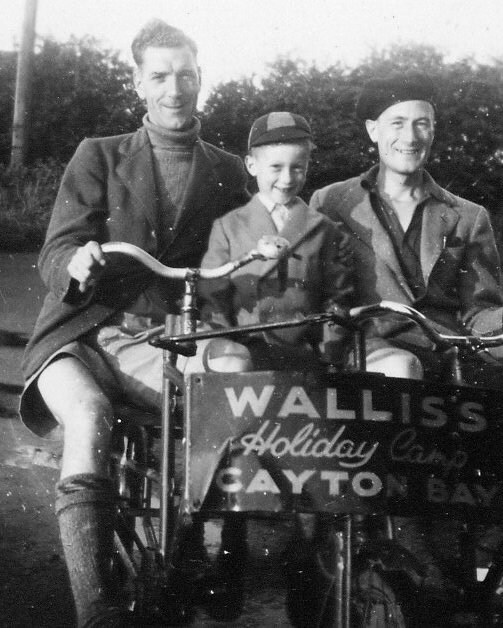 I first went to Scarborough age 8 in 1952 although we actually stayed in a caravan at Wallis' camp at Cayton Bay. Here are some photos from that holiday. 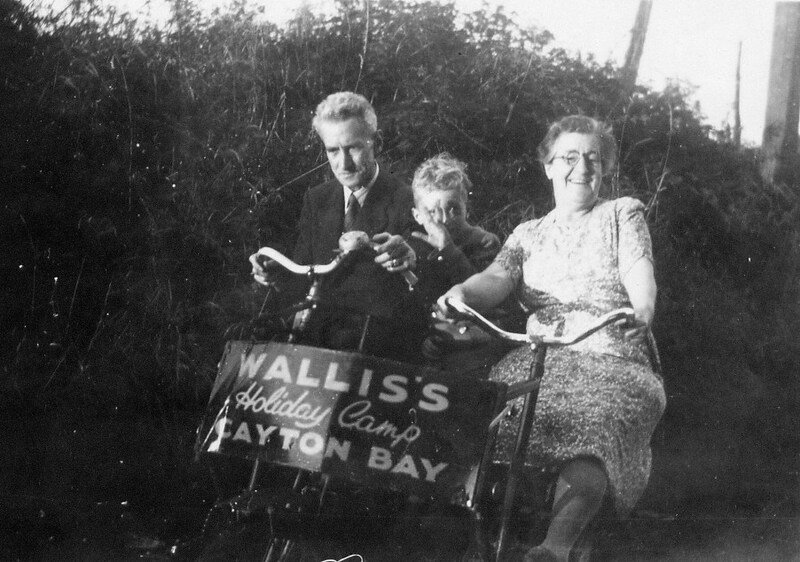 The caravans were fairly early versions. 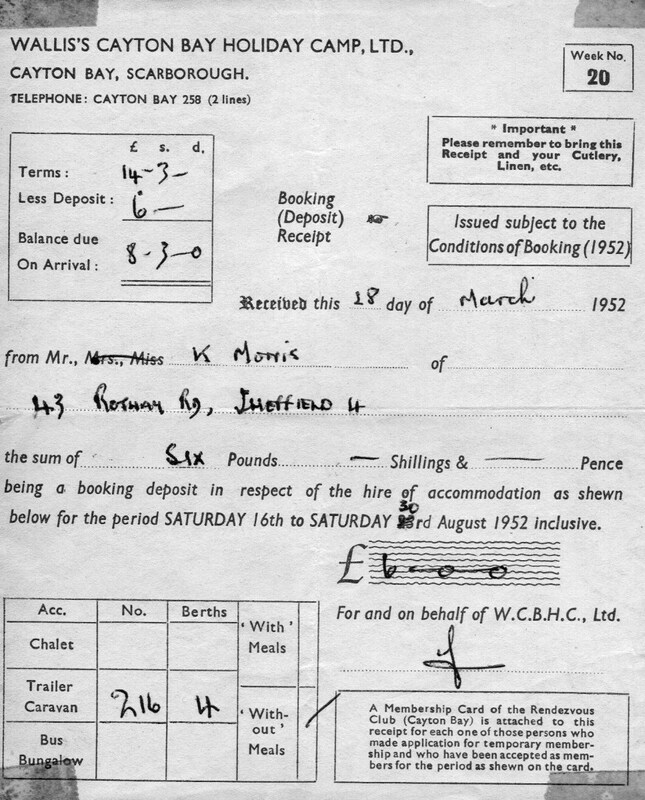 The bill for a 4 berth caravan (see photo ) was £20 3 shillings !! Have gone to Scarborough on & off ever since & now over 50 years later we go twice a year generally but now stay in a hotel! 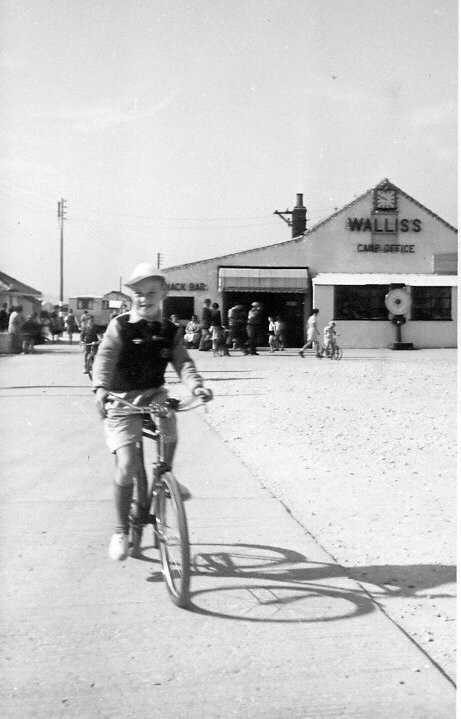 I haven't been to Scarborough for years but Wallis's Holiday Camp, Cayton Bay was the first place I ever saw, and used, a Juke box, had my first Knickerbocker glory...both in the snack bar at the side of the camp office, and their Rendezvous Club was "out of this world" for this simple Sheffield school lad back in 1956. I would have thought Skegness or Cleethorpes would have been more popular with Sheffield people. Both Scarborough and Blackpool were longer to get to then those two. There were also more trains to them, especially from Sheffield Midland than those two. Blackpool was probably more accessible via Victoria Station, than Midland. Yes, transport was a big factor before we all had cars. 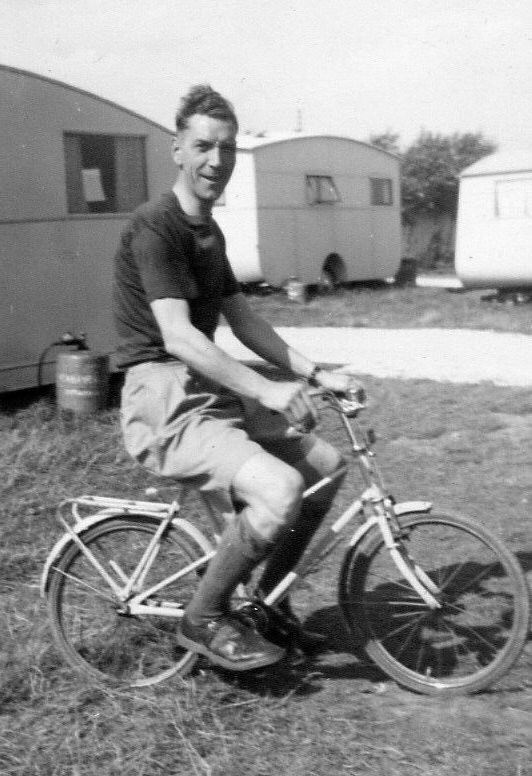 I knew someone who lived in Cleethorpes during the 50s, - his parents ran a boarding house which was very popular with Sheffield folk. 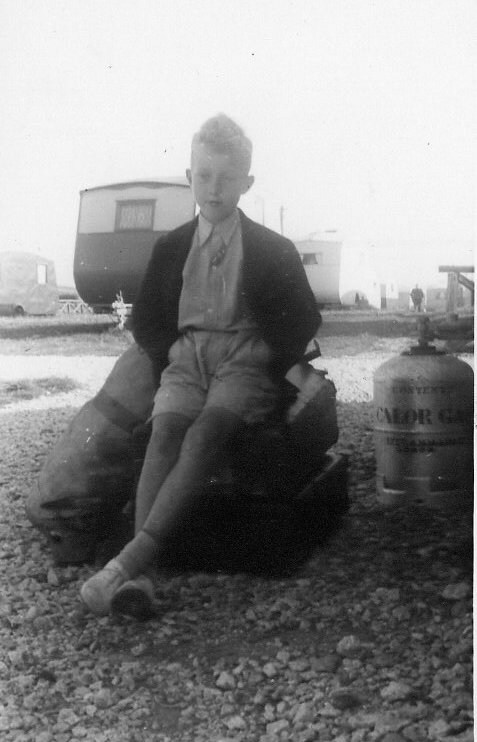 We camped in Burniston, about 4 miles out of Scarborough on the Whitby road, every summer from 1959 until 1975 (Except 1967 when we went to Mablethorpe to my Aunt & Uncle's caravan). Last time I went, about ten years ago, it seemed to be a shadow of it's former self, run down and dirty. If memory serves me right so popular was "Costa del Clee" that the Star published an edition for Cleethorpes during works weeks when tens of thousands of Sheffield and Rotherham workers visited and Grimsby Town FC even tried to recruit supporters from our region. Certainly in the 1940/50's Sheffield Victoria was the station to use for Bridlington, Scarborough, Skegness and Cleethorpes ,whereas the Midland had services to both Blackpool and Morecombe. Victoria may have served Blackpool directly...I can't be sure...but the only time I went by train there ( late 1960s) we caught the civilised and much lamented electric service out of Victoria and changed stations in Manchester where we then caught a bone shaking DMU.